The name of Robin Li may still lose fame with Bill Gates. But in China, founder of internet search engine Baidu that now occupy the ranks of China's richest man according to Forbes magazine. 44-year-old Li had total wealth doubled from a year ago to $ 7.2 billion. This success put him in position number two in the order of 14 large. Yes, Google's declining popularity among Internet users in China contributed significantly increase Baidu shares. Inevitably, the co-founder of Baidu, too splattered glory. As is known, Google's feud with the Chinese government's censorship policies related to making the Internet giant's business continued to decline. Unfortunately for Google, reap a blessing for Baidu. 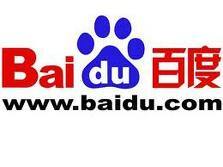 At the same time, this would reinforce the dominance of Baidu is growing with increased market share reached 70 percent in July. Zong Qinghou is a person who managed to match the Li in the number one position. Soft drink company Wahaha boss noted the wealth of USD 8 billion. The number who managed to deliver this Zong rule of three large list of richest people in China Chinese version of Forbes magazine, an increase of the previous year in the top three. Along with the increasingly Baidu in China, will also encourage Li to the sequence number one this prestigious position? We will see progress later!